CNET founder Halsey Minor created a 3D 360 video camera and a VR broadcasting system. Quantum Leap Pro is a video camera that can livestream 3D 360 video with 4k resolution (4k per eye). 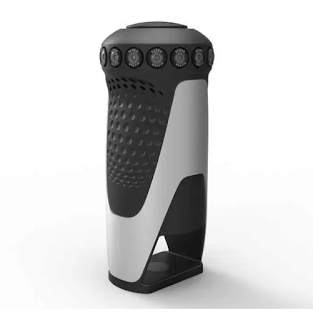 It has 16 lenses, each matched with 18 megapixel sensors, arranged radially. The camera is able to livestream 3D 360 video wirelessly over a Verizon LTE connection to a Samsung Gear VR in realtime, at 25 fps. Quantum Leap Pro will be priced at under $10,000 and will be available Q4 of 2016. There will be a discount of at least 5% for payments using the cryptocurrency Voxelus. 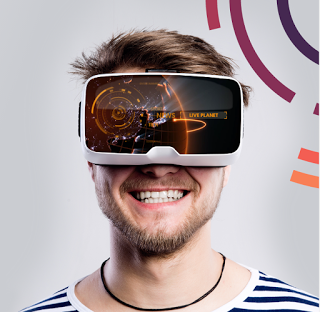 Live Planet is an end-to-end cloud-based platform for creating, managing and distributing 3D 360 video in broadcast quality. The software can adjust its encoding dynamically based on bandwidth and the platform’s resources.